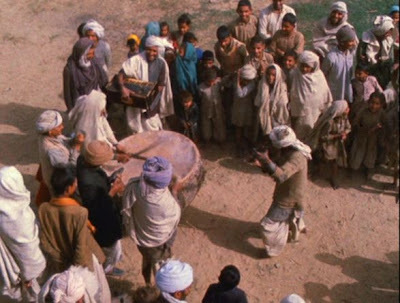 Throughout Phantom India, writer-director Louis Malle shows his awareness of the tension between two conflicting approaches towards encountering In dian culture. On the one hand one must situate what one sees within the critical categories of Western thought; and on the other hand, one must be open and receptive to things that go beyond our reflective categories. 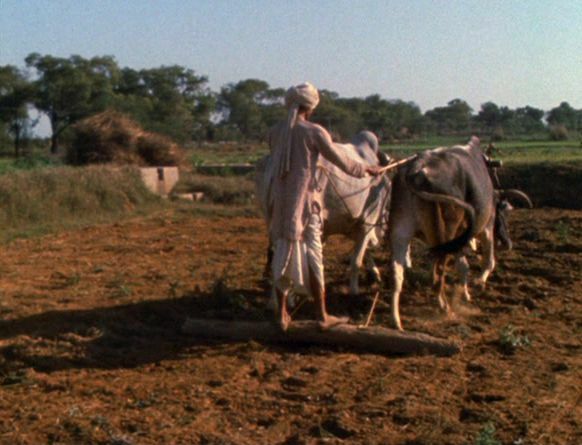 In this connection in Episode 4, Malle’s reflections took a swing towards the critical side, and the bias to this side is continued further in Episode 5, where the subject of the Indian caste system is brought to the fore. This episode focusses on life in the traditional villages, where Malle has been told that you can find the essence of what India is about. To be sure, he tells us, despite a number of big urban areas, 80% of the Indian population resides in rural villages , and so he and his crew have gone to a village in Haryana province, just to the north of Delhi, to film the local inhabitants. At the outset Malle interviews an American Peace Corps volunteer who has come to an Indian village to introduce modern farming techniques to the local population. He is trying to bridge the gap between the modern West and the traditional East and hoping that Western technology can make a positive contribution to life in the villages. But, of course, this is an enormous challenge to effect significant changes: there were only 700 such Peace Corps volunteers and over 560,000 Indian villages . Initially, Malle finds the people in the Haryana village living according to simple practices and routines that have probably been unchanged for centuries. He observes that the people there live collectively in town, not on the farms where they work. The women always cover their faces with veils when unfamiliar men are present. Almost everyone is vegetarian, and he films women spending hours each day making their daily staple: chapati bread. One thing that surprises him is the usefulness to village life of cow dung. In a country with little remaining forest for firewood, cow dung, instead of being used for fertilizer, is used as a slow-burning fuel. But after settling down and watching the villagers engaged in their mundane routines, Malle starts to notice interesting patterns that were not initially evident to him. In this village of 2,000 inhabitants, there are over twenty water wells (where two or three would have sufficed), and the same village women whose traditional job it is to fetch water always gather water from the same specific wells. 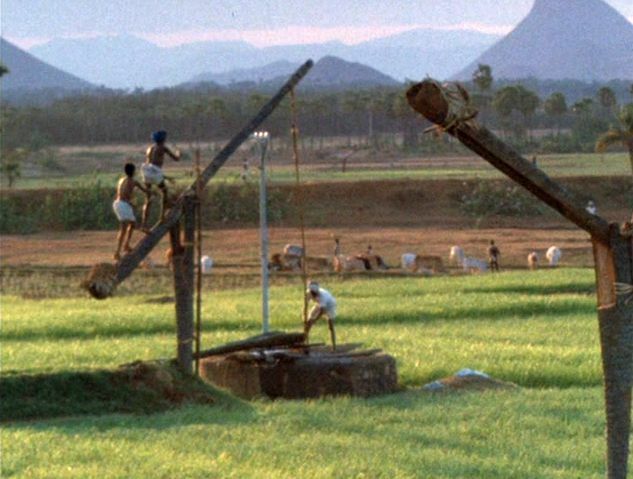 What he has discovered, without being told, is that the village has a separate well for each caste, and only members of a particular caste can draw water from any given well. 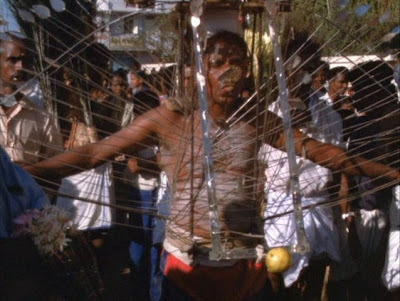 The remainder of this episode is then an extended exploration of how this peculiar (to Westerners) institution, the Indian social caste system, operates in the local village arena. Generally speaking, caste systems can be said to exist in many places in the world, but the Indian caste system is extreme, which makes it a particular subject of curiosity to outsiders. For various reasons, perhaps because outsiders approach the subject with disparaging prejudgments, Malle observes that Westernized Indians avoid discussing the topic altogether. But other Indians don’t discuss the subject much, either – the local villagers that Malle encounters don’t mention it, because the nature of the system is merely an accustomed and accepted part of the social fabric. To them it is just the way things are and have always been. Even the English speakers among the local villagers don’t know how to explain “pariah”, “caste”, and “untouchable”, since those words seem to have no meaning for them in their native tongue. Of course we know that many Indians have long been critical of the caste system. The Buddhists, Jains, Ajivikas, Muslims, and Christians in India have traditionally condemned the caste system as an anathema. And Asoka, the Buddhist monarch who reigned over the vast Mauryan Empire in the 3rd Century BCE, was one of several rulers in Indian history who outlawed or discouraged the caste system. Gandhi was opposed to the caste system, and the Indian Constitution in 1950 explicitly outlawed caste-based discrimination. Yet still the system has stubbornly persisted over the millennia and continues to dominate rural India today. Why it endures so unrelentingly is still somewhat mysterious. The nature and origins of the Indian caste system are obscure. Westerners are taught that there are four principal varnas: Brahmans (priests), Kshatriyas (warriors), Vaisyas (merchants, herders, and cultivators), and Shudras (laborers). But of course it is much more complicated than just those four classifications, with multiple gradations and variations across India, plus thousands of sub-castes (jatis) . The origins of this system and how it came about are also obscure. The ancient Aryans of Greece, Iran, and the Caucasus had, it is true, three principal classes corresponding to warriors, priests, and farmers. So an early assumption was that the caste system in India was introduced by the Aryan invaders , who simply classified the native Dravidian people as the lowest class, the Shudras, below the three Aryan classes. But more recent research suggests that the Dravidian people had a well-developed caste system before the Aryans invaded. From this account it would seem that the existing Dravidian caste system was simply adopted by the Aryan invaders, who then placed themselves at the top of it . Upon reflection we might presume that there may have been some real social utility to the caste system in ancient times. Originally, it may have functioned like the professional guilds in medieval Europe. 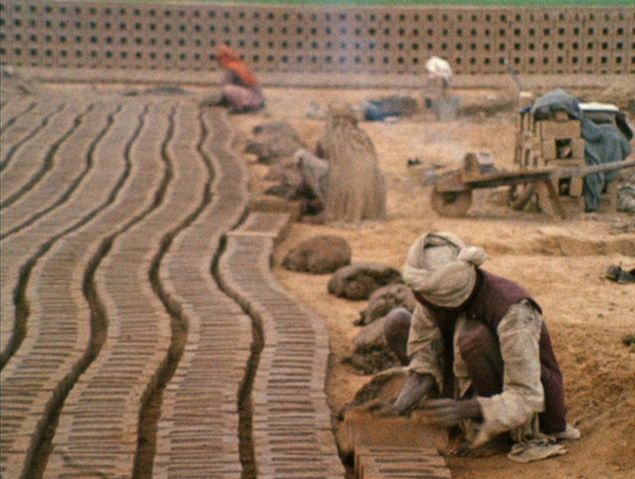 Even outside the scope of identifying an occupational grouping, the caste system could have been used as a social-networking tagging system to create artificial brotherhoods. Such brotherhoods can conceivably foster the adoption of social norms and cooperative standards of behaviour that can bring benefits to the group as a whole. Along these lines Malle wonders if in past times the caste system could have indeed once provided a useful system of balanced, interlocked functions and rewards in the village society. Then, maybe, but not today. Now, with the rigidity of the caste boundaries and the landowners owning everything, the caste system is simply a ruthless instrument of oppression. In fact now the caste system may actually be a significant impediment to a well functioning democracy, since castes are becoming ever more rigid, isolated, and locked in mutual opposition, rather than forming an interlinked fabric. We know, of course, that however the caste system may have originally been influenced by utilitarian and economic considerations, it has long been more than simply a set of occupational groupings or a tagging system, and it has always been part of the Brahmanical r eligion (Hinduism). It functions primarily in that context as a hierarchical system of privilege, based on presumed purity. The less pure one is, the less fit he is even to come in contact with those of the higher castes. An example of such a lower-level caste is the dhobis. These are people who wash clothes, including underclothes, which is an operation unsuitable for the higher caste wives, who have a more elevated level of recognized purity. In all the villages, clothes cleaning (performed laboriously, without the use of soap or detergent) is undertaken by the dhobis, and even in the big cities the clothes cleaning businesses are manned by dhobi manual laboreres. The lowest classes are the Untouchables, those unsuitable to be touched by the upper castes. 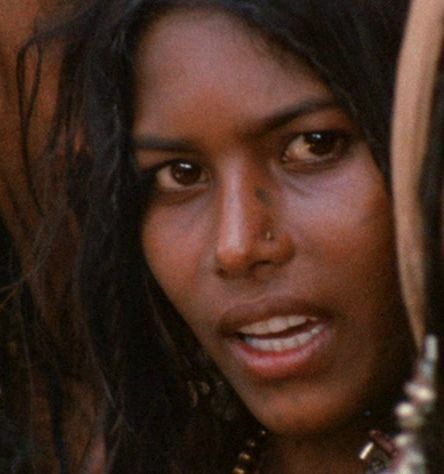 But even lower are the tribal people that Malle observes. They are not even allowed to enter the village, and their state is even worse than the Untouchables – they are outcastes, standing completely outside the system. These severely disadvantaged classes are not at all a small segment of Indian society – the scheduled castes (loosely, the Untouchables), scheduled tribes, and other backward classes may make up more than 30% of the population . Yet all these lower castes do not protest such daily denials of basic human rights, because they do not see all people to be of fundamental equal worthiness. The ritually pure have essential superiority. This is supported by the Hindu system of metempsychosis (the transmigration of souls), which instructs the followers that there is an eternal cycle of rebirths. After death a person will be reborn to a new state in the world based on the merits of his or her past life. If one is born into a lower caste, then it is simply one’s own fault. The only way to rise to higher levels is to accept dutifully one’s position and not complain. Because one always has another chance to make things better in the next life, Indian funerals, Malle observes, are not such sad occasions as they are in Western societies. Since the schoolteachers are customarily Brahman, the education system at the local village level is operated by people who have a stake in the existing system and are unlikely to call attention to its inequities. This is the way that class stratification persists the world over. 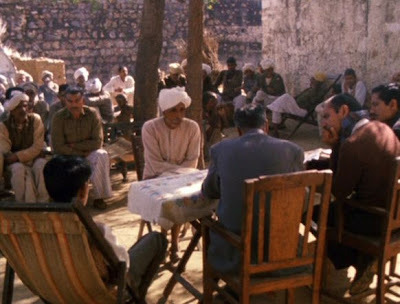 At the end of this episode, Malle observes a further example of small-town corruption when he witnesses a panchayat, which is a local village council that has the appearance of a town-hall meeting and which adjudicates a village dispute. Although the law requires the presence of a woman and an Untouchable on the panchayat board, they are said to be “absent” from the day’s meeting that Malle witnesses. As Malle watches how the local landlords and proprietors stage-manage the proceedings, he concludes dismally that the panchayat is, just like the caste system, simply another instrument of oppression for the benefit of the local privileged classes. 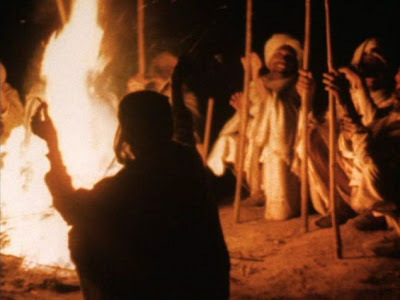 At the beginning of this episode, Malle was worried that he was directing the villagers to play roles for his camera that would not be natural and authentic. So he finally stopped telling them not to look at the camera and just let them behave as they wished, without instruction. Later, though, he decided that the people were still stage-directing themselves, artificially, in order to play what they imagined would be a good role for the camera. For example the villagers put on a local music performance for the filmmakers, using musical instruments that they had not used for a long time. The whole proceeding was, for Malle, false and not really authentic. But by the time we reach the end of the episode, Malle has come to an even more dismal conclusion about authentic behaviour. He realizes that the social rules of the caste system are perpetually forcing the people to play artificial roles (for the Brahmanical gods watching) throughout their lives. These roles are forced on them by a system of beliefs that perpetuates the oppression. Finally, Malle reflects on that Peace Corps worker he interviewed at the beginning of the episode. What is needed for Indian rural society, he concludes, is not the introduction of modern technology and tools, but a fundamentally transformed mindset about nature and society. Given the ingrained and enduring nature of India’s cultural traditions over the centuries, this would be a vastly more difficult task. 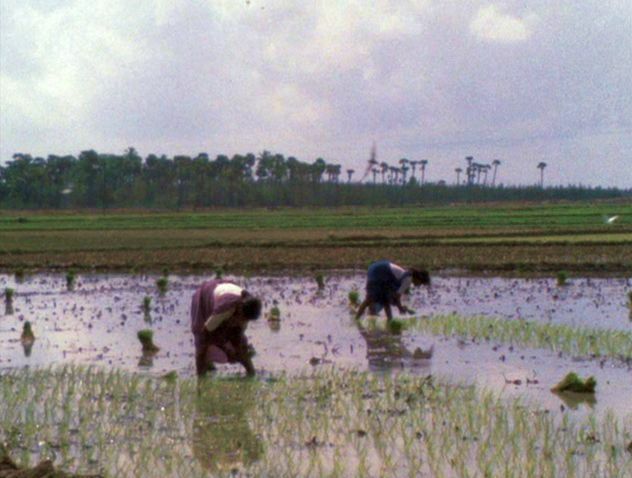 The 2001 census indicated that the rural Indian population was 73%. The 2001 Indian census indicated that there were about 640,000 villages in India. See, for example, A. L. Basham, The Wonder That Was India, (1959), Gove Press, NY, pp. 147-151. There are disagreements among scholars concerning whether this "invasion" involved a significant population migration or was actually more of a cultural invasion. See, for example, http://en.wikipedia.org/wiki/Indo-Aryan_migration. G.S. Mudur, "Caste in the genes". The Telegraph, (1 January 2001) Calcutta. http://www.telegraphindia.com/1070101/asp/knowhow/story_7203802.asp. Indeed, studies have shown that there are essentially no characteristic genetic differences across the castes, cf. Kivisild, T.; S. Rootsi, M. Metspalu, S. Mastana, K. Kaldma, J. Parik, E. Metspalu, M. Adojaan, H.-V. Tolk, V. Stepanov, M. Gölge, E. Usanga, S. S. Papiha, C. Cinnioglu, R. King, L. Cavalli-Sforza, P. A. Underhill, and R. Villems (February 2003). "The Genetic Heritage of the Earliest Settlers Persists Both in Indian Tribal and Caste Populations", American Journal of Human Genetics 72 (2): 313–332, http://www.pubmedcentral.nih.gov/picrender.fcgi?artid=379225&blobtype=pdf. Throughout the episodes of Phantom India, writer-director Louis Malle reveals himself to be caught in a dialectic: the conflict betwee n what his critical, rational mind understands (and ultimately condemns) and what his intuitive side vaguely senses (and wishes to embrace): the contrasting perspectives of material poverty and Indian spiritual tranquillity. This is perhaps a reflection of the eternal French conflict between the Classical and the Romantic way of thinking. In Episode 3 in Madras, Malle’s mental perspective gradually swung from initial rejection of Indian customs over to a sympathy for a mysterious and profoundly different way of being that exists in India. 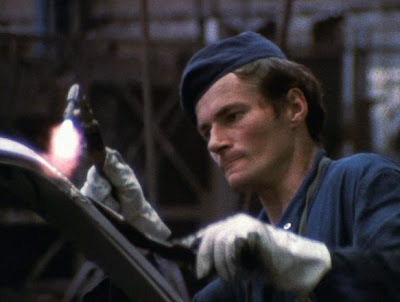 In Episode 4, though, Malle’s mind keeps swinging back the other way: his critical mind interrupts his romantic reveries and we feel an invisible frown returning to the narrator’s brow. By now, Malle has moved across the south of India, from the Coromandel of the southwest coast to the Malabar coast on the southeastern side. The narrative of this episode drifts through four sections, each one starting off with dreamy appearances about a particular activity, followed by the narrator’s calling our attention to the less pleasant “reality” of that subject. They arrive at Trivandrum (Thiruvananthapuram) Kerala, where they film in this urban environment a huge tree filled with bats. To these Europeans visitors, the bats, with their one-metre wing spans, look ghoulish, but the Indians there pay these creatures no mind – noone shoos the bats away, they are simply accepted as part of nature. “Respect for life in all forms is a constant in India,” Malle observes. But the dreamy imagery is interrupted by a return to “reality”. He encounters a train wreck and comments about the British-built train system. Though it was used to implement colonialism, the train system is still the stalwart of the Indian transportation system and retains a vast bureaucracy that was established by the British. 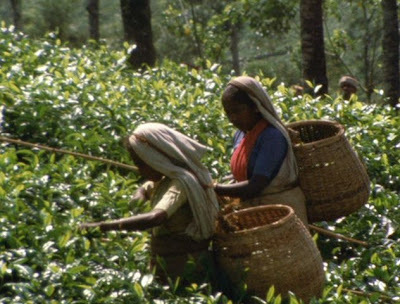 Afterwards Malle moves to a tea plantation, also operated by a British corporation. The women who do the tea leaf picking are paid meagre salaries, and though they are happy to have the jobs, Malle characterises their work as a harsh form of neocolonialism. The three-man team visit a wildlife park and again idyllic images of grazing elephants fill the screen, but Malle points out that this is a fake reality, created for tourists. In truth, elephants in the wild have vanished, and the only ones left are employed as draft animals. He shows an elephant working in a timber mill, which is part of the slash-and-burn economy that is rapidly destroying the elephants’ few remaining natural habitats. He sees a tame tiger in a Mysore zoo, and learns that there are almost no tigers left in India. The last ones are being hunted down in “gentlemen’s safaris”, where a wealthy customer can have two hundred beaters provided in order to secure a kill, and even have the wild tiger drugged in order to make it an easier prey. The filmmakers observe huge fishing nets permanently hoist-mounted in the harbour in Cochin (Kochi). Though picturesque, Malle observes here, too, that the workers manning the hoist pulleys are overworked, and the daily catch is paltry. Again Malle returns to the dreamy side of things: the bucolic waterways and lagoons of Kerala provide the backdrop for his commentary on that state. It has the highest literacy rate in India (over 90%) and a tradition of religious tolerance: roughly half the people are Hindus, a quarter are Muslim, and another quarter are Christians. The Christian community is longstanding, and tradition traces it back to a visit of St. Thomas, the Apostle. 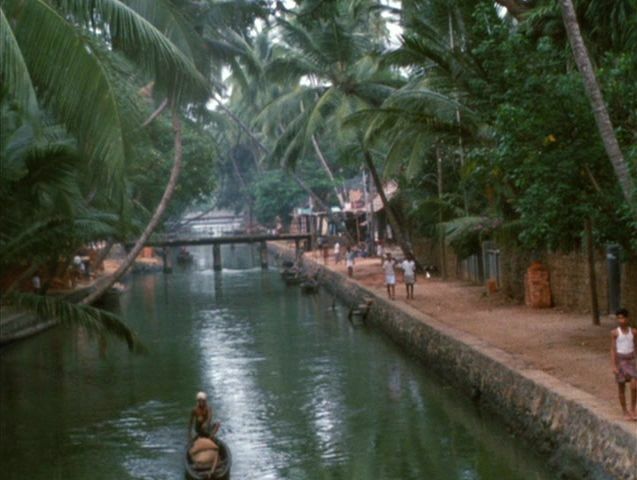 Set against this dreamy imagery is the reality that the area is overpopulated and poor (although Kerala has had improved fortunes over the course of the last forty years). As in China, much of the skilled handwork performed in the primitive factories is done by women, who work for minimal wages. 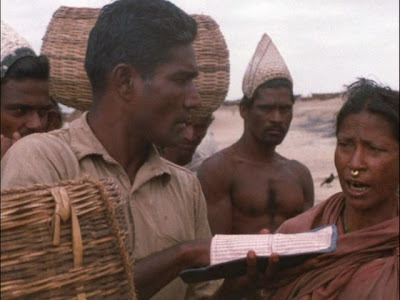 The final segment in this episode is, appropriately enough both for someone of Malle’s leftist sympathies and for the dialectical structure of the narrative, devoted to the subject of Indian Marxism. Kerala was the appropriate place to take up this subject, because of a remarkable feature: it had one of the few democratically-elected Communist governments in the world. At this time, in 1968-69, the prospects of India’s democratically-elected government system were still a subject of speculation. Elsewhere, Vietnam was in the throes of a violent, peasant-led Communist revolution, and China was plunging into the convulsions of the Cultural Revolution. How could a country like India, with so many ethnic groups, so many languages, and with such a low overall literacy rate, possibly survive as a democracy? Surely the international communist movement would make progress there eventually. As it happened, in 1967 the Indian Communist Party had just divided into two factions, the Left Communist s and the Right Communists, a split occasioned by the question of whether the communists should form a coalition with the ruling Congress Party (the Left Communists refused to do this). But as we see here, neither of these two factions turned out to be sufficiently radical for Malle’s tastes. As we learn from Malle’s interview, the Left Communist Prime Minister of Kerala, E. M. S. Namboodiripad was, despite his supposedly radical credentials, governing in a highly pragmatic fashion. Namboodiripad was faced with a difficult political dilemma – he needed to attract capitalist businessmen to Kerala in order to spurt the economy, and at the same time his party constituency prevented him from opposing or condemning industrial strikes. Nevertheless, he managed to introduce radical reforms that appear to have been successful in elevating the conditions of the local farmers and labourers. Unlike revolutionary firebrands in other parts of the world, Namboodiripad worked in coalition with many seemingly conflicting groups and sectors in order to progress his program. This was democracy, not revolution, at work. Another Left Communist leader interviewed, Gopal, tells Malle that a Maoist-style revolution wouldn’t work in India. Malle’s voiceover narration in response to such comments, however, suggests disappointment with such pragmatism, as if Indian Communists lacked the courage and vision to make the radical moves necessary to transform a feudal society. In this case Malle's dream is radical social change, and the disappointing reality, for him, is the compromising behavior of the radicals. 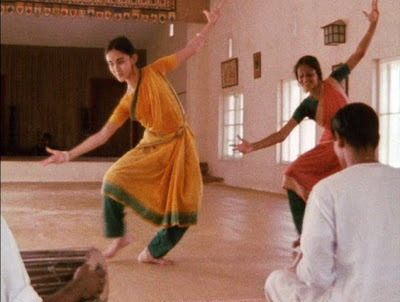 As the images of a pensive female dancer fills the screen at the close of Episode 4, Kerala’s contradictions between dream and reality have left Malle in a similarly melancholy state. But the viewer may perhaps agree with me that a more hopeful conclusion can be drawn from the same material – that the depth and substance of Indian culture is too vast to succumb to Naxalite nihilism. In Episode 3 of Phantom India, Louis Malle attempts to come to grips with a core feature of Indian civilization: its deeply-felt and unabiding spirituali ty. In fact with due consideration and respect for all the dedicated religious practitioners in various parts of the globe, it seems that Indians are the most religious people on earth. But how can one convey that spirituality in a one-hour film? Since it is always difficult to convey spiritual notions via the concrete imagery of film, the task of taking on of the vastness of India’s never-ending spiritual journey would seem to be hopelessly daunting. Despite these long odds, though, Malle’s documentary investigation here does offer some interesting insights. The Vedic path, as the basis of the Indo-Iranian culture, emphasized a radical separation of mind and body. Mind, the creative principle behind the sky god, was supreme and the eternal goal was always to purify the mind and separate it from the pollution of the physical world and the body. With this metaphor the ultimate, fundamental categories came to be good and evil. In short this tradition was utterly dualistic. The South Indian path emphasized nondualism and the attempt to be one with all being. For this tradition, dualism is not the goal, but is in fact the actual source of all suffering, and one should seek oneness with all. When these two visions clashed in South India, it became the melting pot, perhaps the spiritual laboratory, in which these contrasting notions came together and generated an astonishing array of religious practices and beliefs. As a consequence of this encounter, some of the South Indian notions began to be included in some of the later Vedas, and the admixture of combinations proceeded from there. Hinduism came to reflect, in various ways and sectors, many composites of those ideas. Thus although the priests recite some of the Vedas, they worship gods who were not mentioned in the Vedas, such as Shiva, the god of creation and destruction. This episode of Phantom India follows something of a narrative arc that moves from incredulity to wonder. At first Malle seems to reject many of the practices that he comes across as mere fetishism and blind superstition. So early on, his critical eye is focussed on the priests who dupe the simple people out of their meagre earnings. In fact Malle remarks that he is always struck by the fanaticism of the believers, especially the women. But he is also amazed by the fervour and the commitment on the part of the believers. Gradually he comes to appreciate that this unworldly devotion elevates these people to a plane of bliss that is rarely attained in the West. In the beginning Malle shows various devotees engaged in extreme acts of mortification of the flesh – fervent attempts to separate the mind/s pirit from the polluting effects of the body. They believe that if one can become enured to pain and sensual feelings in general, then they can make themselves independent of worldly lusts and attain release from the endless sufferings of birth and death. This is the extreme side of dualism, the attempt virtually to ravish the body as much as possible and become pure mind. The images are painful to watch, but the devotion of the believers is absolute. Everywhere in India there are Hindu temples, run mostly by the Brahmans, the priestly caste. Although the priesthood is the ancient designated calling of the Brahmans, Malle observes that few Brahmans are priests. Most of them are professionals, and generally only the losers, those who cannot make a living any other way, take up the priesthood. Frequently these lower-level Brahmans are illiterate, and so they merely uncomprehendingly recite the Sanskrit prayers for their followers. In this segment Malle’s camera repeatedly shows the faithful eagerly making cash offerings for religious blessings, charms, and fetishistic powders. For Malle, this is shameless exploitation on the part of the priests, who are accused of fleecing the innocent. With respect to the Brahmans, themselves, Malle remarks that he is struck by their habitual arrogance and how haughty they are over their unearned privileges. Now, to be sure, one should not generalize on the basis of a few personal encounters, but, unfortunately, my own ex periences with Indian Brahmans have not been entirely out of line with Malle’s. Next Malle’s camera turns to the individual acts of devotion by the faithful. These are the pujas and ablutions (ritual washing) that are performed by believers. The large temples have pools for ritual ablutions, and the believers come there to wash themselves obsessively, even though the water, itself, is polluted. To Westerners the complex hand movements, bowings, and body twirlings seems ornate, arbitrary, and slightly ridiculous. There is no attempt to understand or explain whatever symbolic meanings are associated with these complex gestures, which seem to come in a large variety. But the sincerity of the believers is evident. Malle speculates that in the crowded, communal Indian society these pujas and acts of reverence may offer the mass of ordinary people their few precious moments for personal self-expression and privacy. In India there are many thousands of sadhus, people who have renounced everything in order to find enlightenment. These people seem to belong to no established religious order, but their bizarre attire makes them easily identifiable. They belong to the renunciant shramana tradition of the ascetics, and each one seems to following his own path. Although some of them have evident mental problems, these sadhus are not anything like the homeless people one encounters in the West. For some of them, this path is merely fulfilling the Laws of Manu, for which there are four stages: (1) the student, (2) the householder, (3) the forest dweller, and (4) the wandering ascetic, i.e. 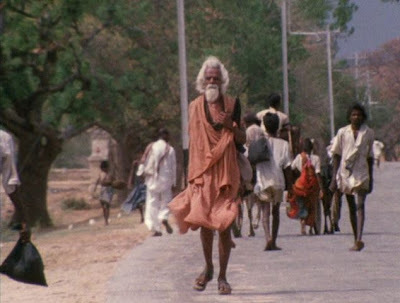 the sadhu. In any case it is astonishing that in a country with such material shortages among the ordinary people, they are so willing to give alms for the support of voluntary mendicants. 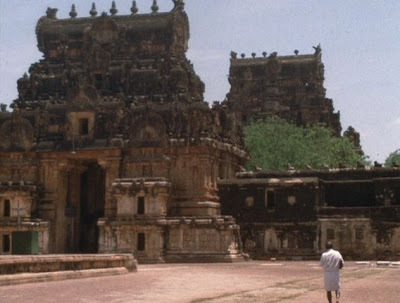 At the end of the episode, Malle says that at first he looked at Hinduism with a rational mind, and his early impression was that it was a religion of fetishism and exploitatio n. But then he began to look deeper, and he no longer could make any judgement. In India, he noticed, there are in fact almost no atheists. People never ask you if you believe in a god, but instead only ask what is your religion. They all believe in something. So many people, all holding so many differing beliefs, but with such fervour, had left their mark on Malle, after all. H. G. Rawlinson, India, a Short Cultural History (1968), Praeger, New York. Unto Tahtinen, Ahimsa: Non-violence in Indian tradition, (1976), Rider, UK. Gavin D. Flood, An Introduction to Hinduism, (1996) Cambridge University Press, UK ISBN 0521438780. Padmanabh S. Jaini, Collected Paper on Buddhist Studies, (2001) Motilal Banarsidass, ISBN 8120817761. Episode 2 of Phantom India focusses on what Malle encountered in the south Indian city of Madras (Chennai). 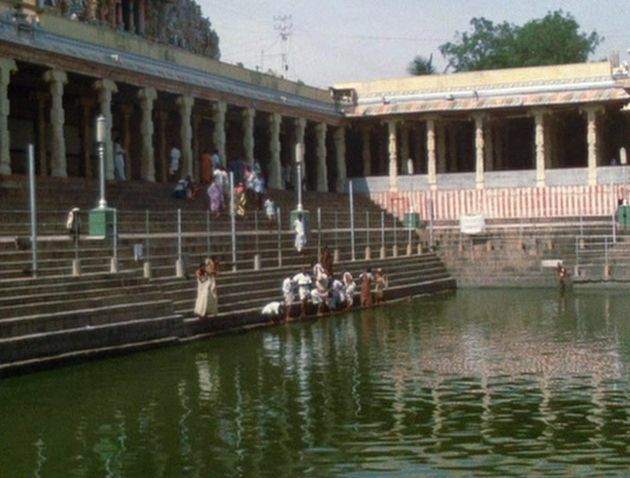 There are five main sections, three of which attempt to come to grips with the local Tamil culture, while the last section is an extended contemplation of Indian dance culture. An annual Hindu festival near the Kapaleeshwar Temple on the outskirts of the southern city of Madras (Chennai) features the parade of a truly gigantic (several stories high) ceremonial cart that is slowly pulled by the faithful around the streets outside the temple. The crudely-built cart, which seems to be centuries old, is heavily festooned with garlands and flowers, and it transports priests who appear to be giving their blessings along the way. Malle and his crew cannot fathom the religious significance of the ceremony, but they are caught up in the five-hour spectacle, which is a combination of devotion to the gods and joyous ceremony. This section is a memorable visual display of the Indian people on the street completely engaged in the joys of the festival. We perhaps need to be reminded that "Hinduism" is a term invented by the British in the 19th century to describe the various religious practices that they encountered when they came to and ruled India. The term suggests a homogeneous religion, but the multifarious practices included under this rubric are far from a unified religion with a universally ordained code. In each part of India the religious practices are a syncretic mixture of various individual religious traditions that were brought into the area over long historical periods. Some of the practices related to the original South Indian people, others come from the Vedas, which come from the Aryan people who invaded in the second millennium and ultimately partially interbred with the indigenous population . 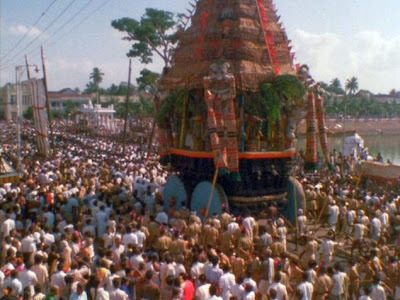 The syncretisms even involve, in some parts of India, a merging of Islamic and Hindu myths and practices, although more recent efforts to globalize and standardize religious movements have led to a reduction of these syncretisms and a corresponding increase in communal tensions in a society that has up to now been amazingly tolerant of heterodox practices for centuries. 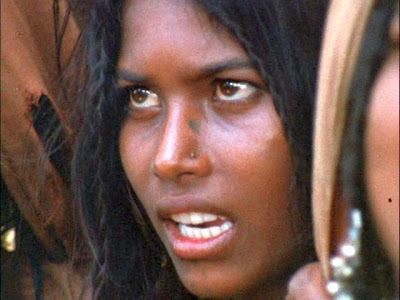 Malle covers the Indian government’s strenuous, but only partially successful, efforts to curb the vast Indian population. For the most part, these efforts have avoided coercion , so the government (in Madras, at least) pursued highly aggressive advertising techniques to explain how birth control methods work and convince a sceptical population to adopt them voluntarily. What is interesting here is that, despite the conservative familial culture in India, these advertisements are considerably more explicit than would normally be seen in the West. The Indian film industry has always been a mainstay of the popular culture, and in fact there have long been separate film industries associated with the various regional languages. The Tamil film industry is one of the most robust, having been active for over 75 years and producing about a hundred films annually. 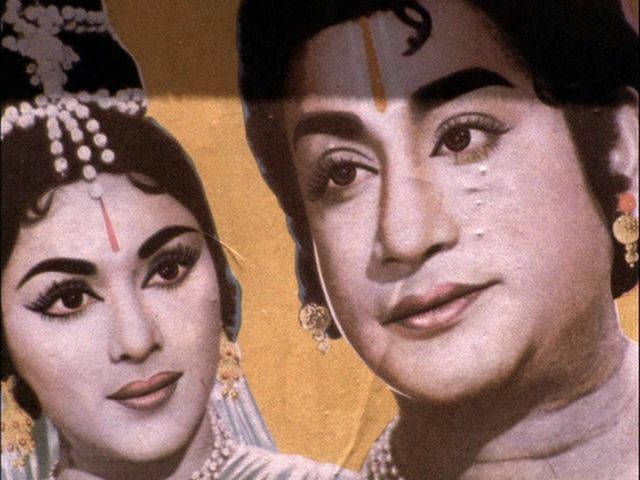 Although Tamil stage-theatre themes can often be oriented about Tamil political issues, Tamil films are almost always highly melodramatic romances and almost invariably feature lots of singing and dancing. These facts are not too surprising, but Malle finds it curious that the cinema actors are usually short, pudgy, and thick-featured – in stark contrast to the usually delicate and comely features of the Tamil people on the street. Although the "well-fed" look is associated with prosperity and is more highly-valued in India than in the West, Malle was still surprised to see how far the Indian Tamil actors were from our normal standards of beauty. In addition, the actors, both men and women, cover themselves with ugly thick, pink makeup in order to lighten there complexions and conform to the northern standards of beauty. The result, at least in 1968, is more of a cartoon than a believable story. But the local people love it. "The gestures are a prayer, an invocation. The dance is one of the yogas, meaning a path to transcendence, a bridge between here and the beyond." Clearly Malle was bewitched by the dancers, as was I watching it. He knows, i nside, that he is romanticising the images from his own ideals, but he cannot resist the allure. "This grace, this beauty, this perfect harmony of body and mind is like the idealized vision of India, one that is so rarely encountered that I questioned if it really existed. This is India: a worldview we don’t understand, a social hierarchy that puzzles us, an economic reality that shocks us, but also the hesitant fragile grace of two girls conversing with God." There are disagreements among scholars concerning the approximate dates that this "invasion" occurred and the degree to which it involved a significant population migration or was actually more of a cultural invasion. See, for example, http://en.wikipedia.org/wiki/Indo-Aryan_migration. Readers of Rohinton Mistry’s A Fine Balance, will be familiar with reputed heavy-handed instances of peasants being duped or forced into sterilization during the Emergency (1975-77). 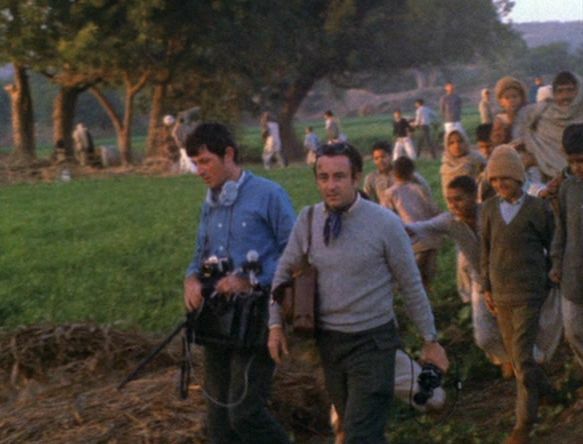 In 1968 Louis Malle’s career was at a turning point, and he took a timeout to travel to India and think about larger issues in his life. The still-young di rector had been something of a wunderkind in French cinema, having shared a Cannes Film Festival Palme D’Or at the age of 23, worked as an assistant to Robert Bresson on A Man Escaped (Un Condamné À Mort S'est Échappé Ou Le Vent Souffle Où Il Veut, 1956), and scored several other hits and international prizes, But he was just coming off a marital breakup and a questionable outing with Le Voleur (The Thief of Paris, 1967), and he needed a break to think things over. The initially planned short trip to India turned into a two-month sojourn and led to a greater fascination with the country and culture. 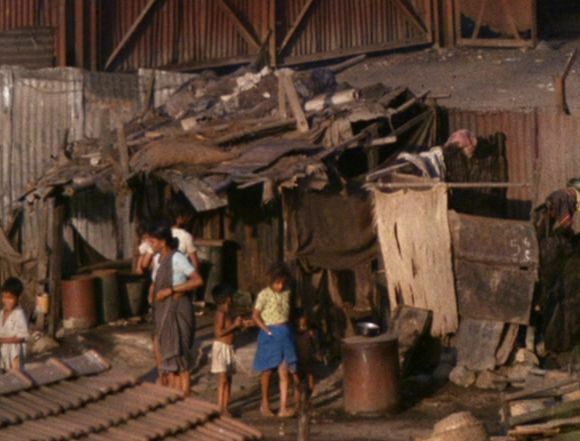 He returned with a cameraman and sound recordist for five months on his own personal budget to film his six-hour documentary series, Phantom India (L'Inde Fantôme, 1969). It took him a year to edit the 30 hours of original footage that was ultimately released as a television series in seven episodes. Though Malle is mostly known today for his feature films in France and later in the United States, I believe that Phantom India was his greatest work, and he, himself, asserted that the work was his own personal favourite of all his films. Phantom India was very much in the cinéma vérité tradition that first flourished in the 1960s when the appearance of lightweight film cameras made possible the capturing of “real life” activities in the practical affairs of society. But cinéma vérité in its early European manifestation was distinguished from its counterpart in North America, known as “direct cinema”, which tried to capture “objective” reality by attempting to make the cinematographers invisible. 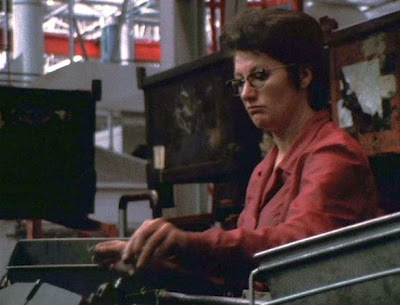 Cinéma vérité filmmakers, in contrast to that, tended to acknowledge explicitly the presence of the fimmaker and his or her involvement in the processes under study. This, in my, view is the more realistic approach and is likely to lead to a more accurately captured “reality” on film. Whatever is captured on film is inevitably altered by the presence of the watcher, and in addition the choice of camera angle and the flow of edited images inevitably reflects the ontolo gical context of the watcher. It is best to resign oneself to this state of affairs and work within that context. This is exactly what Malle did in Phantom India . Indeed, Malle’s film is an extended examination of the issue of cinematic objectivity. He is less concerned with the camera’s putative “invisibility” (there are many occasions when his subjects look straight into the camera) than with the inescapable fact that the director, as well as each viewer, brings to the film his or her own intellectual categories by means of which the perceived reality is to be constructed. How can we avoid casting our own prejudices and desires onto the images perceived? As such the film is as relevant today as it was on its release. 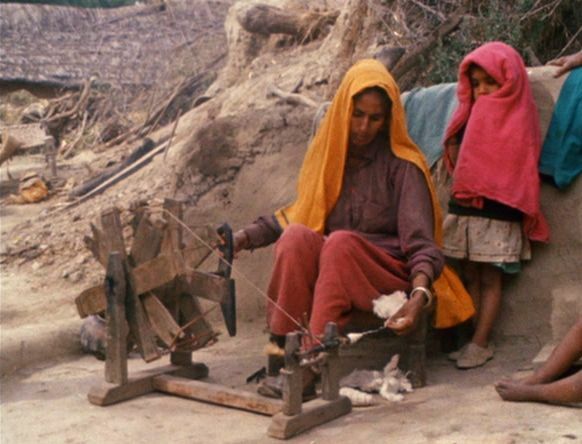 The seven episodes of Phantom India can stand on their own as separate documentary films about India, but under discussion throughout the series are overlapping themes, such as the traditional Indian caste system. Taken together, the episodes form a meditative mosaic of the author-director’s reflections on India. This was not always the case with Malle. His later Human, Trop Humain (1974) was much more aligned with the direct cinema approach. H. G. Rawlinson, India, a Short Cultural History (1968), Praeger, New York, p. v.
Episode 3: "The Indians and the Sacred"
Episode 4: "Dream and Reality"
The Tour de France is cycling’s more prestigious event and has by far the largest attendance of any sporting event in the world – 10-15 million – althou gh it is impossible to obtain a precise count of all the roadside spectators. The event, which comprises 21 stages (racing days) over the month of June and typically covers a total length of more than 3500 kilometres that courses through ordinary roads and town streets all over France, has a history going back more than a century. Over this period it has emerged as a unifying cultural phenomenon for the French people to get a feeling for their own countryside and popular culture. 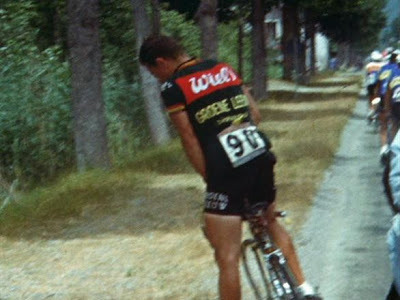 Writer-director Louis Malle managed to capture something special about this race with his eighteen-minute documentary, Vive le Tour (1962). Though the film is now almost fifty years old, it still stands as one of the great sports documentaries and as a vivid tribute to this unique event. Malle was still under thirty when he made the film, but he was already world famous for his vibrant and provocative feature films, Les Amants (The Lovers, 1958) and Zazie dans le Metro (1960). Though Malle is mostly known to world audiences through his lengthy and successful career as a director of fiction films, I think his greatest talent was as a documentary filmmaker. 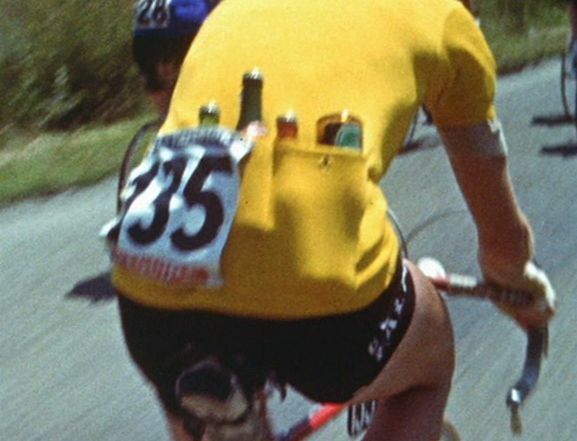 Little is said in Vive le Tour about the nature of the race or the various strategies associated with the peleton and breakaways, etc. (although one can assume that the French viewing public was quite familiar with the basics of this event). In fact the basic scoring system is not explicated, and famous riders or winners are not identified at all in the film. Instead, Malle concentrates on the gruelling experiences of the cyclists and how it might feel to be one of them in the race. 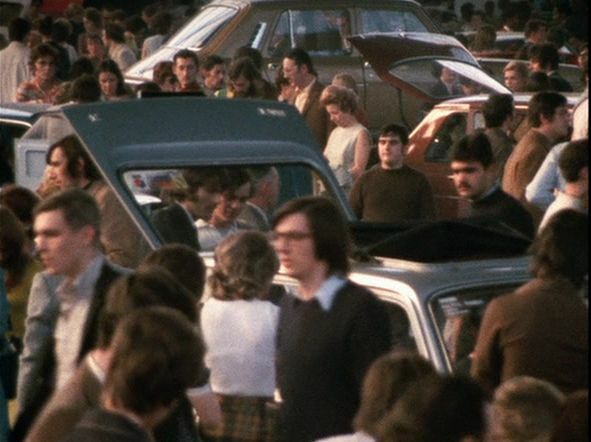 Although the film was made before the advent of lightweight digital video cameras and Steadicams, Malle achieved his subjective effects by managing to get amazingly steady closeup footage at high speed of the riders as they stream down the roads lined with people. This footage highlights one of the striking features of the Tour, which is the close proximity of the spectators to the bicyclists. Many of the people watching the race have the temerity, or cheek, to reach out and actually touch the riders or pat them on the back as they race by. Incredibly, in this age of violent attention-seekers, there are rarely any incidents of spectators causing serious interference or trouble with the race. There are five interesting activities associated with the racers to which Malle calls our attention in the film, and the progression through this sequence of activities provides the film with its narrative structure. Each of the specific activities involves camera footage that is not normally seen even by viewers of today’s heavily covered event. Food and Drink. Given the length of the race and the hot summer conditions, the riders need sustenance and fluid replacement all the time. The support crews hand their team members juice and water bottles as they race by various points along the way. But this refreshment is often not enough, and the riders often make momentary stops at restaurants and raid food and drink (some alcoholic) from the counters of the shopkeepers in order to boost their supplies. The Call of Nature. Of course with all this drinking on the run, there are bodily functions to attend to, and the drivers don’t waste much time on this. Some of the cyclist relieve themselves quickly by the roadside, others do it on the run, only slowing down a bit. Doping. The use of performance-enhancing drugs is a hot topic these days, but the history of this practice goes way back, well before 1962. The drugs used today may be more sophisticated, but the intentions is the same: take a drug that will enable the body to endure pain and fight off weariness in order to get that extra edge. Malle has some remarkable footage of a rider in this race who is so drugged with some sort of stimulus that he become nauseous and passes out while riding. Malle’s camera follows this unfortunate rider, keeping him in frame, until he finally slows down and crashes by the side of the road. Crashes and Pileups. With the riders moving in a pack at high speed, there is always the danger of a massive pileup, and Malle’s camera documents one such episode and the effects of a few others. 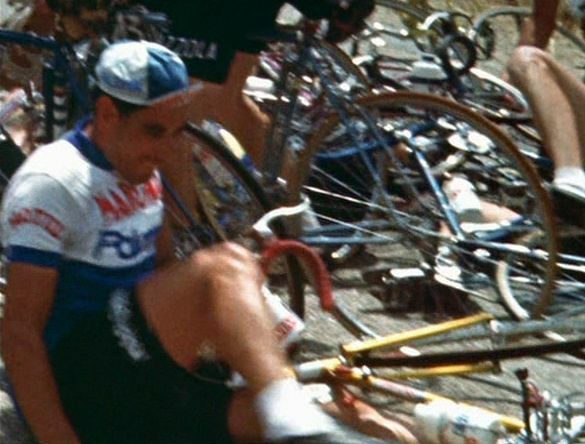 Serious injuries can and often do ensue, all the more so, because in 1962, the riders did not wear helmets. The Mountains. Besides the time-trial sprints and the long-distance courses, there are also stages that involve incredibly strenuous hill climbing through mountainous terrain. The riders must not only be fast and lean, but also strong enough to pump their way up steep mountain roads. Malle’s cameras capture the exertion and pain of the riders as they struggle their way up the hills, sometimes in foggy and rainy conditions. The spectators often take pity on the stragglers in these circumstances and run out to give them extra pushes from behind to help them make it up. This extra support, which is actually illegal, doesn’t effect the race outcome, because the fans are only boosting the tail-end racers who have no chance of winning the event. One of the things that struck me while watching the film is that the main features of the Tour de France have not changed much in the last fifty years. Sure, the riders wear helmets now, there is more media coverage, and the bikes are undoubtedly more technically advanced. But the main features are still the same. Compared to many other widely seen sports today, the changes to cycling, at least from general appearances, do not seem to have been very great. Overall, Vive le Tour is a rousing success. Each of the five racing activities covered is interesting and has been carefully filmed. Malle must have had a high shooting ratio to acquire such well-frame footage of race events taking place at such speed. 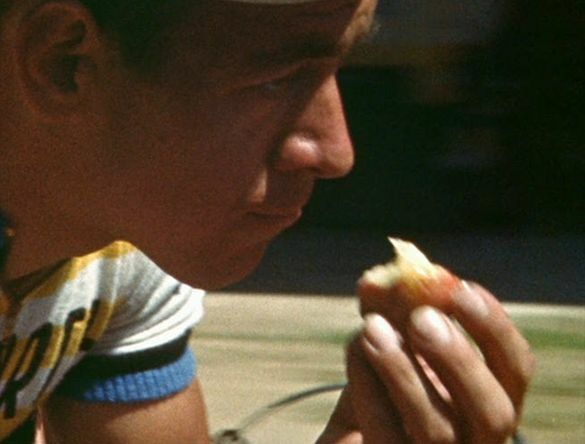 Even if you have watched the Tour de France many times on television and think you have seen it all, you will probably enjoy seeing this film.